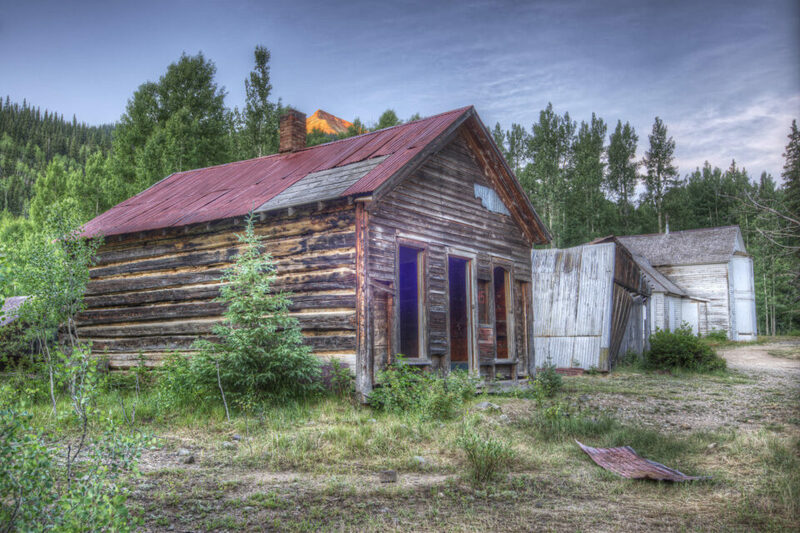 Directions: This ghost town lies on US 550 north of Silverton, Colorado. North of Red Mountain Pass, turn east just north of mile marker 84, onto a poorly maintained dirt road with a sign for Ironton. After about a quarter of a mile, you are there. 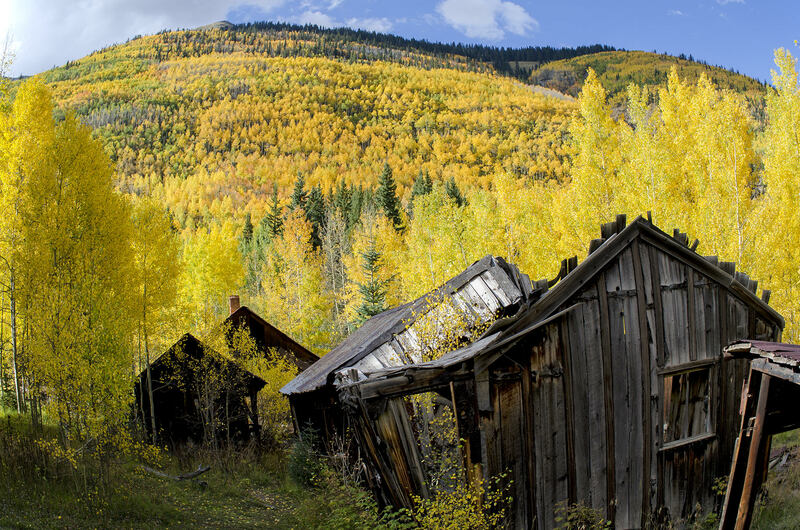 In autumn, probably the last part of September, the Aspen trees put on quite a colorful show. You can walk down behind the town a few yards to Red Mountain Creek.